We understand how important it is to get the most of out of your equipment and believe that reusing, recycling, and maximizing durability are best for your study and for the planet. Therefore, as an investment in furthering your study, MTI offers courtesy service to recovered transmitters, regardless of the event causing the need for refurbishment. There is a small fee (see pricing page). But as long as your transmitter meets the necessary hardware and software requirements for refurbishment, we will do our best to service your PTT so you can continue collecting valuable data and advancing scientific and conservation directives. Over the years, this practice has contributed many remarkable stories to MTI’s history, like the recent example below. Interspecific collaboration - the many tales told by one transmitter. 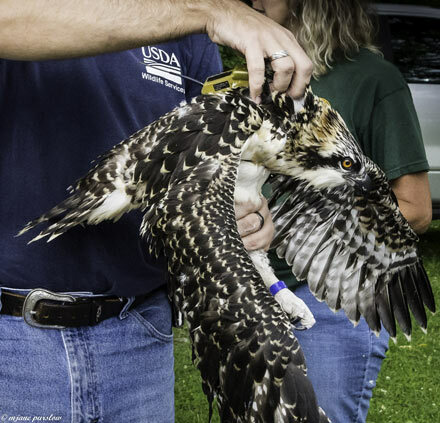 Even though this young Osprey was visually identified on the day she went missing, crucial information regarding juvenile mortality could not have been collected without the transmitter – often the only consolation when a tagged animal dies during a study. 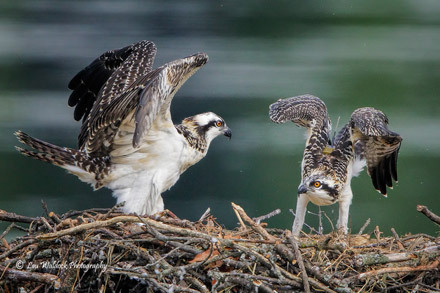 So in 2017 when the project was discontinued, Barb and her team were eager to pay-it-forward and honor Pebbles short life by donating her refurbished transmitter to University of Florida student, Simona Picardi, who is diligently piecing together her own graduate project and anxious to gather information about the perils facing Woodstorks in South Florida. Simona gratefully invited Barb to join her in the field when she deploys the unit in 2019 and all of us here at MTI are excited to follow along on this impressive journey of collaboration, mentorship and support. Best of luck to everyone involved! Although the recovered device in the example above was a GPS/GSM Transmitter, contact us if you would like to add Ground Track (GT™) to your Argos PTT to aid in its recovery.